RRB NTPC 2019 recruitment including 35,277 vacancies for Non-Technical Popular Categories (NTPC) gives a sure shot chance to the graduates and undergraduates eligible candidates to apply for the same. But the challenging part begins with the preparation for the exam. To outshine your competitors, an extraordinary practice is an inevitable step and to lead you ahead with this very first step, below provided60 days Study Plan for the RRB NTPC CBT Stage 1 is an another effort by ADDA247 to let you maintain consistency in your preparation. 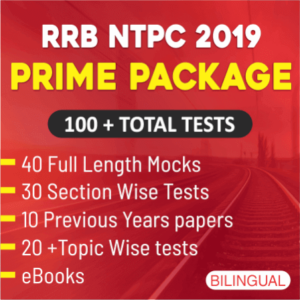 Daily updated section wise quizzes, notes, free Pdfs on various exam oriented topics and free videos(when available) make our study plan for RRB NTPC 2019 Exam a perfect tool to crack the exam. 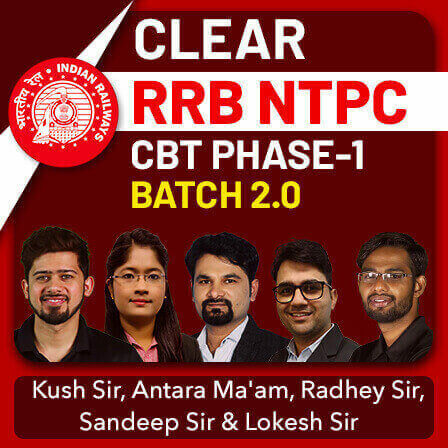 Before it’s too late, be a part of our RRB NTPC CBT 1 2019 Exam and cut the mustard on cue. Note: We will be providing Video Solutions for Daily Subject wise quizzes of RRB NTPC CBT 1 2018 Exam on our YouTube channel ADDA247. Subscribe it and get the advantage of video solutions by our top-notch faculty. As the exam is in the offing, going through previous years’ topic wise weightage, to have in deep idea of the exam pattern, to focus on more important topics from the exam point of view and then practice accordingly.